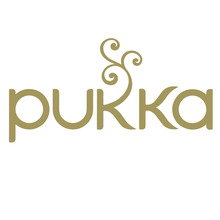 Pukka Herbs produces, markets and sells a range of functional fruit, herbal and green teas & wellbeing supplements. We are strongly against animal testing and has been Cruelty Free International certified since 2013. This means that no animal testing has been conducted or commissioned for any finished cosmetic or raw material ingredients in any phase of product development by Pukka Herbs, its laboratories or its suppliers after our fixed cut-off date of 5 June 2005. We have always believed it to be abhorrent to continue using animals to test the safety of cosmetic products, especially since there are other methods of evaluating safety. It has been understood for a long time now that the results of product tests on animal skin do not necessarily give an accurate indication of a possible outcome on human skin. There is no justifiable reason to continue animal testing in the name of beauty. No product, or ingredient of any product, has ever been tested on animals by Pukka Herbs since its foundation - nor will there ever a case to do so. Furthermore, we do not use the services of any other research establishment who conduct animal testing on our behalf, either on a product or any product ingredient. Pukka Herbs has operated a strict policy to never purchase products or ingredients from suppliers or intermediary agents who have conducted, commissioned or been party to animal testing for cosmetics on them, since the company began. Therefore, we require annual written assurances from each of our suppliers to ensure that the ingredients they sell to us comply with the Humane Cosmetics Standards, which stipulate that no animal testing is conducted or commissioned for finished cosmetic products or ingredients by the company, its laboratories or its suppliers after a fixed cut-off date. Our commitment to the standard is such that if any of the ingredients we use were found not to be compliant with the standard, we would seek an alternative supplier for the relevant ingredients, or if necessary remove them from our product range. This policy is made available to all Pukka People, covered in our inductions and is published here on the Responsible 100 website.